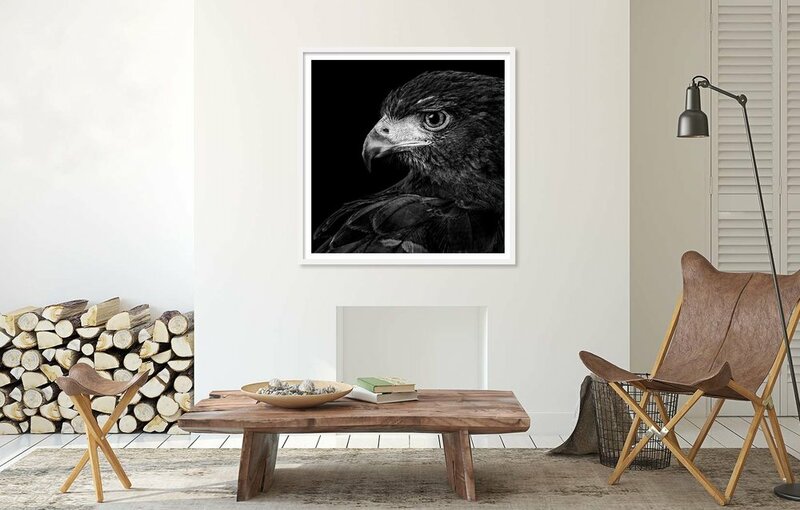 This Limited Edition photographic print of a Harris Hawk is made using archival pigment inks and archival fine-art paper. It is signed and numbered by Paul Coghlin on the front, and supplied with a Certificate of Authenticity. In-situ image below shows 40”x 40” print size.